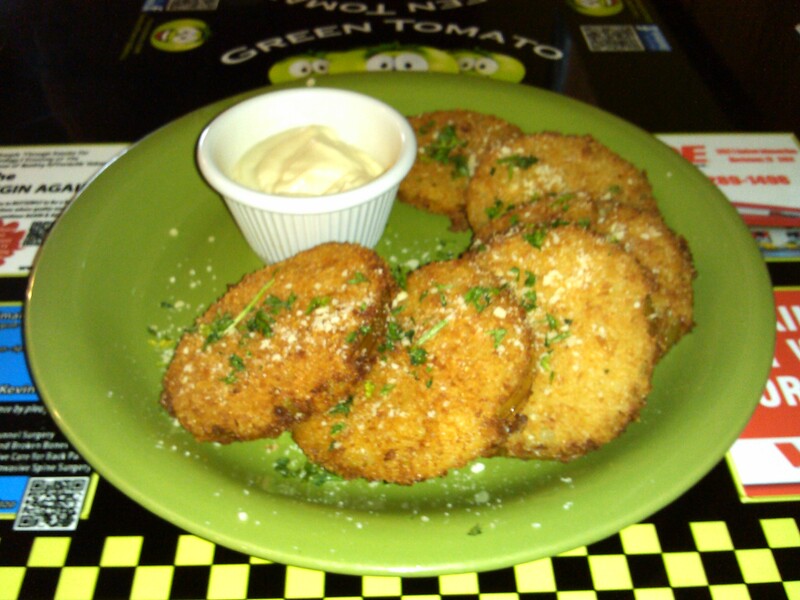 These are fried green tomatoes. Intrigued? They are exactly what their name implies, and are a perfectly healthy-yet-not-healthy appetizer. The dip you see in the picture above is a tangy mayonnaise that isn’t spicy persay, but has just that right amount of zip to really make the meal.